Need Torque specs? Timing Marks? An Engine Kit? Do you have a cracked block or a warped head? Call us! We'll serve you with fast and meticulous service, competitive pricing and good old-fashioned, caring attention. For prompt service, call us at 973-777-2235 during our business hours, send us an email or just drop by. 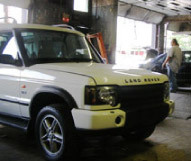 In our shop, certified technicians specially trained in engine diagnostics use the latest computers and equipment to diagnose late model foreign and domestic vehicles, and will quickly identify and pinpoint your engine's problem. 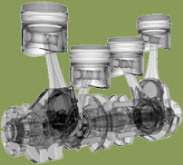 We carry many previously rebuilt components in stock and provide rapid removal and installation of all engine components. We can get you back on the road both quickly and safely (tm). Copyright © 2010 The Wei. All rights reserved.